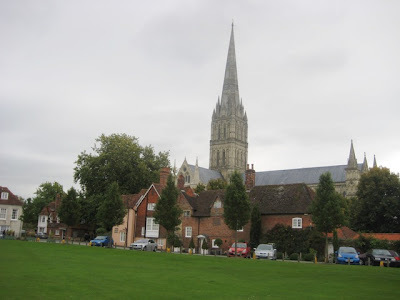 Wissy's blogspot: Salisbury Cathedral - my first ever visit. 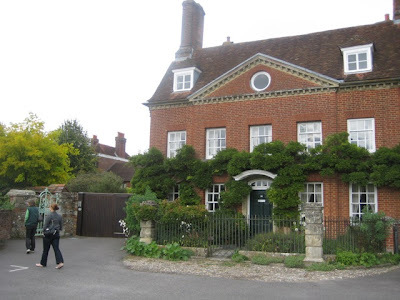 ﻿Last Sunday i went to visit my son and his girlfriend who have just moved into an apartment on the outskirts of Salisbury in Wiltshire. Salisbury is a well preserved medieval city with historic streets and alleyways. 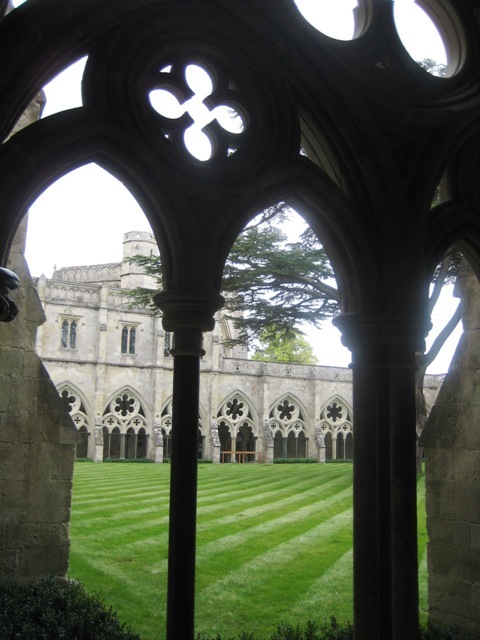 It also boasts the finest medieval cathedral and largest medieval close (80 acres) in Britain. A view of the spire from the cathedral close. 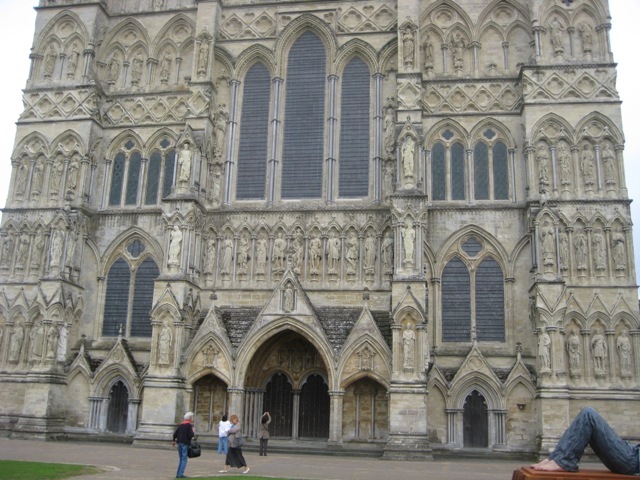 When we approached the cathedral i was awestruck the shere size of the building. It is immense and very imposing. It was built in just 38 years (AD 1220 - 1258). The spire was added between AD 1310 - 1333 and is the tallest in Britain at 404 ft (123 metres). The cathedral has the oldest working clock in the world (AD 1386) and the best preserved of only four Magna Carta (AD 1215) on display in the Chapter House. Unfortunately (but quite rightly) we were not permitted to take photographs inside but hopefully the few photos that i was able to take outside demonstrates the pure magnificence of this amazing structure. 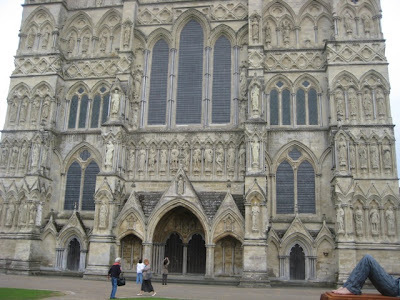 There are 67 statues on the west front. Close up of the statues. 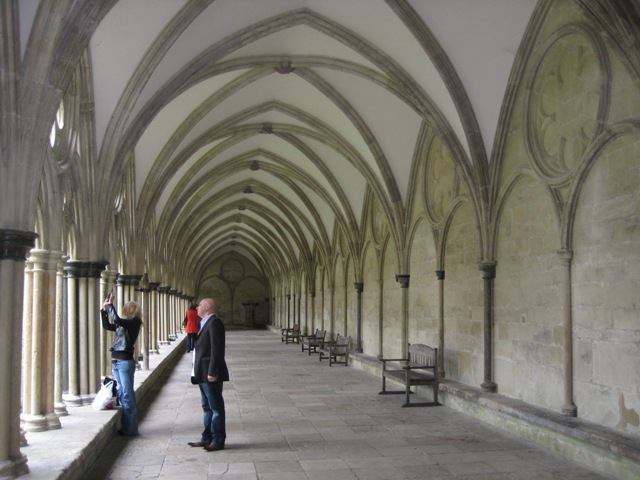 Part of the cathedral cloisters. The medieval close is also interesting in that it boasts a great array of English architecture dating from the 13th century right the way through to the 20th century. Some of the houses were designed by Sir. Christopher Wren. The original houses were given to the senior clergy, priests, canons and clerks who were recruited to serve in the newly constructed cathedral. 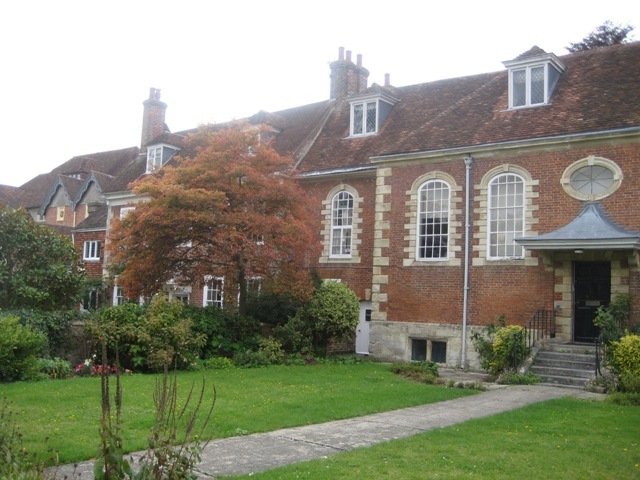 Here are some photographs of just three of the magnificent houses that front the cathedral close. Arundells. 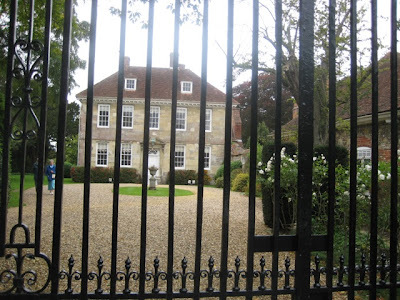 Home of former Prime Minister Sir Edward Heath. The Hungerford Chantry on Choristers Green. Wren Hall - circa 1714. Here are some interesting facts that i got from the cathedral's web site. The spire weighs 6,500 tons yet it only has foundations of 4 feet. It is still standing thanks to the thick bed of gravel beneath the cathedral which supports the immense weight. 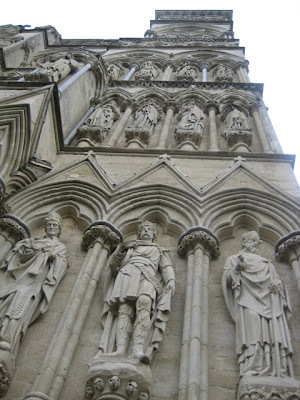 70,000 tons of stone were used to build the main cathedral. 28,000 tons of oak were used to construct the roof. 420 tons of lead covering 4 acres were used on the roof. The spire leans 27.5 inches (69.85cm) to the south. The clock has "ticked" more than 5 million times since it was first built. I came here from Falg COunter Forums. Hi! Wow, the cathedral itself ia absolutely exquisite! I love the detail. I shall defintiely have to visit there one day. One a side note, how do you do your photos like that with a caption? It looks so nice and fancy. Emm. Just over an hour on the train from London. The Cathedral is five minutes stroll from the station. No excuse just do it! :) I will, one day. It is time to do a bit of touring around the countryside anyway. Is a beautyfull place. The Salebury Cathedral!.. Nice place and Iam refering to your blog.